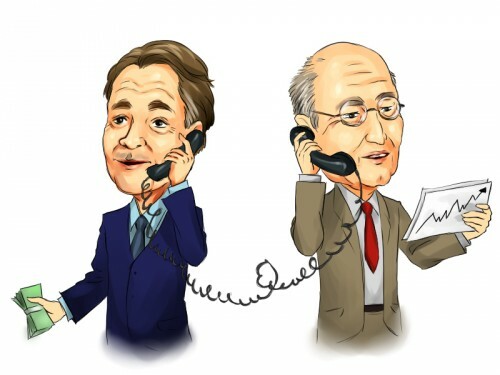 It is not by chance that corporate executives generally buy and sell the shares of their companies at the right times. At the end of the day, corporate executives have access to all of the information about their company that exists (or will exist). A well-known professor and researcher in the field of insider trading at the University of Michigan, Nejat Seyhun, has found that when executives sold shares in their company, the stock underperformed the market by 5.4% over the next 12 months. This is a clear indication that it does make sense to track insider activity. However, let’s not forget that insider selling can be done for a wide range of reasons not related to the company’s future outlook. So investors should try to develop the skill of deciphering whether specific insider selling is significant or not. In the following article we are covering three companies that had a large volume of insider selling recently and these companies are: J&J Snack Foods Corp. (NASDAQ:JJSF), Costco Wholesale Corporation (NASDAQ:COST) and Group 1 Automotive Inc. (NYSE:GPI). Most investors can’t outperform the stock market by individually picking stocks because stock returns aren’t evenly distributed. A randomly picked stock has only a 35% to 45% chance (depending on the investment horizon) to outperform the market. There are a few exceptions, one of which is when it comes to purchases made by corporate insiders. Academic research has shown that certain insider purchases historically outperformed the market by an average of seven percentage points per year. This effect is more pronounced in small-cap stocks. Another exception is the small-cap stock picks of hedge funds. Our research has shown that the 15 most popular small-cap stocks among hedge funds outperformed the market by nearly a percentage point per month between 1999 and 2012. We have been forward testing the performance of these stock picks since the end of August 2012 and they have returned more than 123% over the ensuing 34 months, outperforming the S&P 500 Index by nearly 67 percentage points (read the details here). The trick is focusing only on the best small-cap stock picks of funds, not their large-cap stock picks which are extensively covered by analysts and followed by almost everybody. Let’s begin by looking into the recent insider selling activity at J&J Snack Foods Corp. (NASDAQ:JJSF). Daniel Fachner, who currently acts as the President of ICEE Co. (a subsidiary of J&J Snack Foods), offloaded 5,545 shares for $114.60 each on July 30. The shares of J&J Snack Foods are currently trading at an all-time high, so this move might not come as a surprise to many of you. The stock has run up quite a bit, so Daniel Fachner might have decided to take some profits off the table. The shares of J&J Snack Foods have grown by nearly 9% year-to-date despite suffering a significant slump at the end of January. Just a few days ago, the food and beverage manufacturing and marketing conglomerate announced its earnings and sales for the fiscal third quarter of this year that ended on June 17. J&J Snack Foods posted sales of $278.7 million for the quarter, up by 8% from the $257.1 million figure it reported in the same quarter last year. At the same time, the company’s net earnings increased by 3% to $24.5 million from $23.7 million reported a year ago. Within our database, Jim Simons’ Renaissance Technologies represents the largest shareholder in J&J Snack Foods Corp. (NASDAQ:JJSF), with a position of 387,500 shares.